De Ruiter Electric Motor Company offers US Motors products, service and repair in Miami, Fort Lauderdale, Palm Beach and the Caribbean. 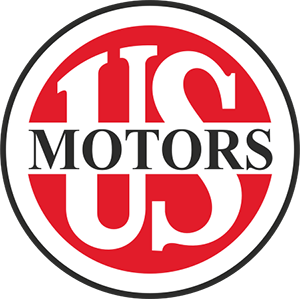 US Motors has been producing electric motors since 1908. In 2010, US Motors became a division of Nidec Motor Corporation—a company with has a long history of providing commercial, appliance and industrial motors. Whether you are in the market for a larger motor or a smaller one, you can find the right product through US Motors. Their newer motors are very energy efficient, which is good for the environment and helps with your overall expenses. Their motors are versatile, ideal for so many purposes. The company supplies motors for water treatment, the oil and gas industry, mining purposes, as well as power generation for swimming pools and air conditioners. You may think that energy efficient motors are underpowered, but that is not the case with US Electric Motors and their products. These motors match or outperform motors available from other companies, while giving you a great deal of efficiency, reducing the overall fuel or power consumption during the operation of the electrical appliance or system. In addition to motors, US Electrical Motors produces controls and switches that are ideal for automotive and commercial purposes. If you know the type of motor you need, you can make a direct request to US Motors for a specific model. If you are unsure about the type of model you need, their customer service representatives will be happy to tell you about the US Motors model best suited to meet your needs. The energy efficiency, reliability, and performance of their products are the foundation of US Motors’ great reputation.